Yet Another 10 Common Mistakes Java Developers Make When Writing SQL (You Won’t BELIEVE the Last One) – Java, SQL and jOOQ. We’re on a mission. To teach you SQL. But mostly, we want to teach you how to appreciate SQL. You’ll love it! Getting SQL right or wrong shouldn’t be about that You’re-Doing-It-Wrong™ attitude that can be encountered often when evangelists promote their object of evangelism. Getting SQL right should be about the fun you’ll have once you do get it right. The things you start appreciating when you notice that you can easily replace 2000 lines of slow, hard-to-maintain, and ugly imperative (or object-oriented) code with 300 lines of lean functional code (e.g. using Java 8), or even better, with 50 lines of SQL. If free and/or Open Source is important to you, you have absolutely no better choice than using PostgreSQL (and you’ll even get to use the free jOOQ Open Source Edition, if you’re a Java developer). And if you’re lucky enough to work in an environment with Oracle or SQL Server (or DB2, Sybase) licenses, you get even more out of your new favourite tool. Start playing with window functions. You’ll never go back, guaranteed. This one was already part of a previous list where we claimed that you should add as much metadata as possible to your schema, because your database will be able to leverage that metadata for optimisations. For instance, if your database knows that a foreign key value in BOOK.AUTHOR_ID must also be contained exactly once in AUTHOR.ID, then a whole set of optimisations can be achieved in complex queries. But what happens with a NOT IN constraint? Due to SQL’s slightly unintuitive way of handling NULL, there is a slight risk of the second query unexpectedly not returning any results at all, namely if there is at least one NULL value as a result from the subquery. This is true for all databases that get SQL right. But because the index on nullable_column doesn’t contain any NULL values, Oracle has to look up the complete content in the table, resulting in a FULL TABLE SCAN. Now that is unexpected! Details about this can be seen in this article. Carefully review all your nullable, yet indexed columns, and check if you really cannot add a NOT NULL constraint to those columns. Now, this is a boring one if you’re not using Oracle, but if you are (and you’re a Java developer), be very wary of PL/SQL package state. Are you really doing what you think you’re doing? Yes, PL/SQL has package-state, e.g. Wonderful, so you’ve created yourself an in-memory counter that generates a new number every time you call pkg.next_n. But who owns that counter? Yes, the session. Each session has their own initialised “package instance”. But no, it’s probably not the session you might have thought of. We Java developers connect to databases through connection pools. When we obtain a JDBC Connection from such a pool, we recycle that connection from a previous “session”, e.g. a previous HTTP Request (not HTTP Session!). But that’s not the same. The database session (probably) outlives the HTTP Request and will be inherited by the next request, possibly from an entirely different user. Now, imagine you had a credit card number in that package…? You cannot even use that package from SQL, now (see ORA-06534). Mixing this PRAGMA with regular package state from other packages just makes things a lot more complex. I know. PL/SQL can be a beast. It often seems like such a quirky language. But face it. Many things run much much faster when written in PL/SQL, so don’t give up, just yet. Dropping PL/SQL is not the solution either. At all costs, try to avoid package state in PL/SQL. Think of package state as of static variables in Java. While they might be useful for caches (and constants, of course) every now and then, you might not actually access that state that you wanted. Think about load-balancers, suddenly transferring you to another JVM. Think about class loaders, that might have loaded the same class twice, for some reason. Instead, pass state as arguments through procedures and functions. This will avoid side-effects and make your code much cleaner and more predictable. Or, obviuously, persist state to some table. Master data is boring. You probably wrote some utility to get the latest version of your master data (e.g. language, locale, translations, tenant, system settings), and you can query it every time, once it is available. So, for your average query, there’s virtually no need for an ORM second-level cache, at least from a performance perspective (ORM caches mainly fulfil other purposes, of course). But when you query master data, i.e. data that never changes, then, network latency, traffic and many other factors will impair your database experience. Please do take 10 minutes, download Guava, and use its excellent and easy to set up cache, that ships with various built-in invalidation strategies. Choose time-based invalidation (i.e. polling), choose Oracle AQ or Streams, or PostgreSQL’s NOTIFY for event-based invalidation, or just make your cache permanent, if it doesn’t matter. But don’t issue an identical master data query all the time. So, obviously, you chose an ORM, because otherwise you wouldn’t be suffering from “N+1”. What does “N+1” mean? SELECT * FROM author WHERE id = ? But that would be an awful lot of work, and you’ll risk eager-fetching too many things that you didn’t want, resulting in another performance issue. While the above will certainly help you work around some real world issues that you may have with your favourite ORM, you could also take it one step further and think about it this way. After all these years of pain and suffering from the object-relational impedance mismatch, the JPA 2.1 expert group is now trying to tweak their way out of this annotation madness by adding more declarative, annotation-based fetch graph hints to JPQL queries, that no one can debug, let alone maintain. The alternative is simple and straight-forward SQL. And with Java 8, we’ll add functional transformation through the Streams API. That’s hard to beat. The actual execution time is negligible in this case, but as you can see, the same objects are accessed again and again within the query. This is a violation of Common Mistake #4: Running the same query all the time. You wouldn’t believe it’s the same query, would you? And what about the execution plan? Here it is! No doubt that this is much much better. If you’re lucky enough and you’re using one of those databases that supports window functions, chances are incredibly high (100%) that you also have common table expression support. (Even MySQL 8.0 will finally have them). Common table expressions are like local variables in SQL. In every large statement, you should consider using them, as soon as you feel that you’ve written something before. This makes DML incredibly more powerful. We’ve advertised the use of row value expressions in our previous listing. They’re very readable and intuitive, and often also promote using certain indexes, e.g. in PostgreSQL. Let’s ignore the full table scans, as this query is constructed. The actual query could leverage indexes. But T is accessed twice, i.e. in both subqueries. Oracle didn’t seem to be able to apply scalar subquery caching in this case. Use row value expressions. Where ever you can. They make your SQL code incredibly more expressive, and chances are, they make it faster, as well. Disclaimer: I wrote this article in 2014. Since then, MySQL has made tremendous progress, so I wouldn’t bet all my money on PostgreSQL any longer, when comparing it with MySQL! So, read this tip with the 2014 context in mind! MySQL claims to be the “most popular Open Source database”. PostgreSQL claims to be the “most advanced Open Source database”. Let’s consider a bit of history. MySQL has always been very easy to install, maintain, and it has had a great and active community. This has lead to MySQL still being the RDBMS of choice with virtually every web hoster on this planet. 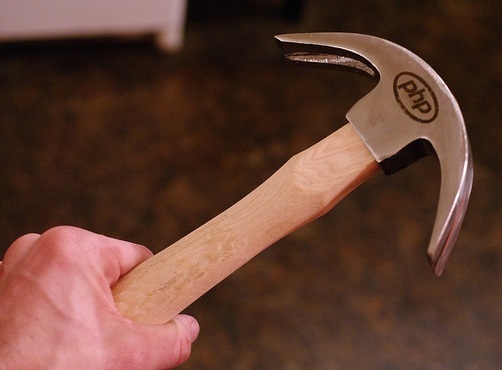 Those hosters also host PHP, which was equally easy to install, and maintain. Well, it works, but how does it work? The same can be said about MySQL. MySQL has always worked somehow, but while commercial databases like Oracle have made tremendous progress both in terms of query optimisation and feature scope, MySQL has hardly moved in the last decade. While the last article bluntly adds “(and other RDBMS)” it doesn’t go into any sort of detail whatsoever, what those “other RDBMS” do wrong. It really only compares MongoDB with MySQL. Again, remember, this was said in 2014. Today, MySQL 8.0 has made tremendous progress, so please review this opinion! Don’t fall for agressive NoSQL marketing. 10gen is an extremely well-funded company, even if MongoDB continues to disappoint, technically. The same is true for Datastax. Both companies are solving a problem that few people have. They’re selling us niche products as commodity, making us think that our real commodity databases (the RDBMS) no longer fulfil our needs. They are well-funded and have big marketing teams to throw around with blunt claims. This article has been quite strongly against MySQL. We don’t mean to talk badly about a database that perfectly fulfils its purpose, as this isn’t a black and white world. Heck, you can get happy with SQLite in some situations. MySQL, being the cheap and easy to use, easy to install commodity database. We just wanted to make you aware of the fact, that you’re expressly choosing the cheap, not-so-good database, rather than the cheap, awesome one. You cause a lot of concurrency on your system, because every other transaction / session, that wants to see the data that you’re about to update, will have to temporarily roll back all of your updates first, before they reach the state on disk that was there before your huge update. That’s the price of ACID. One way to work around this issue is to allow for other sessions to read uncommitted data. Another way to work around this issue is to frequently commit your own work, e.g. after 1000 inserts / updates. In any case, due to the CAP theorem, you will have to make a compromise. Frequent commits will produce the risk of an inconsistent database in the event of the multi-million update going wrong after 5 million (committed) records. A rollback would then mean to revert all database changes towards a backup. There is no definitive cure to this issue. But beware that you are very very rarely in a situation where it is OK to simply update 10 million records of a live and online table outside of an actual scheduled maintenance window. The simplest acceptable workaround is indeed to commit your work after N inserts / updates. By this time, NoSQL aficionados will claim (again due to excessive marketing by aforementioned companies) that NoSQL has solved this by dropping schemas and typesafety. “Don’t update, just add another property!” – they said. First off, I can add columns to my database without any issue at all. An ALTER TABLE ADD statement is executed instantly on live databases. Filling the column with data doesn’t bother anyone either, because no one reads the column yet (remember, don’t SELECT * !). So adding columns in RDBMS is as cheap as adding JSON properties to a MongoDB document. But what about altering columns? Removing them? Merging them? It is simply not true that denormalisation takes you anywhere far. Denormalisation is always a short-term win for the developer. Hardly a long-term win for the operations teams. Having redundant data in your database for the sake of speeding up an ALTER TABLE statement is like sweeping dirt under the carpet. This is not really a mistake per se. It’s just again something that hardly anyone knows. When the SQL:1999 standard introduced the new BOOLEAN data type, they really did it right. Because before, we already had something like booleans in SQL. We’ve had <search condition> in SQL-92, which are essentially predicates for use in WHERE, ON, and HAVING clauses, as well as in CASE expressions. Done! Now, for most of us Java / Scala / etc. developers, this doesn’t seem like such an innovation. Heck it’s a boolean. Obviuosly it can be interchangeably used as predicate and as variable. But in the mind-set of the keyword-heavy SQL folks who have taken inspiration from COBOL when designing the language, this was quite a step forward. This is a bit of a dummy query, agreed, but are you aware of how powerful this is? Luckily, again, PostgreSQL fully supports this (unlike Oracle, which still doesn’t have any BOOLEAN data type in SQL). Every now and then, using BOOLEAN types feels very right, so do it! You can transform boolean value expressions into predicates and predicates into boolean value expressions. They’re the same. This makes SQL all so powerful. SQL has evolved steadily over the past years through great standards like SQL:1999, SQL:2003, SQL:2008 and now SQL:2011. It is the only surviving mainstream declarative language, now that XQuery can be considered pretty dead for the mainstream. It can be easily mixed with procedural languages, as PL/SQL and T-SQL (and other procedural dialects) have shown. It can be easily mixed with object-oriented or functional languages, as jOOQ has shown. SQL is the worst form of database querying, except for all the other forms. So, let’s better get back to work and learn this beast! Thanks for reading. You forgot about DB2 as a Database which is in par with Oracle. At least the ULW Version.